Happy New Year! Hard to believe it is already 2019! It was a busy fall as I jumped into the Special Rapporteur role with great enthusiasm. Highlights included a wonderful week at the UN in New York, a country visit to Fiji, and two jam-packed weeks in Geneva. In the light of new scientific reports about the gravity of the climate crisis, the downwards spiral of the diversity of life on Earth, and the deadly impacts of pollution, there is enormous interest in harnessing human rights in order to bring about the “rapid, far-reaching, and unprecedented changes” that are needed to avoid ecological catastrophe. There is no doubt that we need to act with tremendous urgency, and I believe that global recognition, in particular by the UN, of the right to a healthy and sustainable environment, and the obligations accompanying recognition of this right could serve as catalysts for the positive transformations needed. It is with great pleasure that I would like to introduce Laurence Andre as the newest member of our small but active team. Laurence brings a great wealth of experience in the human rights field having worked with OHCHR in many States from Southeast Asia to Africa. Laurence replaces temporarily Jamshid Gaziyev, who was promoted to working on human rights issues in Egypt. I presented my first report to the UN General Assembly on October 25 in New York. The report, co-authored with my predecessor John Knox, was well-received, generating positive comments from Costa Rica, France, the Russian Federation, Slovenia, Switzerland, and the European Union. My first thematic report to the Human Rights Council, to be presented on 4 March 2019, addresses the under-acknowledged right to breathe clean air. Household and ambient air pollution cause heart disease, stroke, respiratory illnesses, cancer, neurological disorders, and negative birth outcomes. Every hour, 800 people die prematurely because of preventable air pollution. We received more than thirty detailed responses to our call for inputs (available here). It also builds on consultations held with States and CSOs in October 2018 in Geneva. The report should be available online in February 2019 on the mandate’s website. My first country visit took place in Fiji from 7 December to 18 December. Fiji is a breathtakingly beautiful country with a very progressive constitution that recognizes every person’s right to a “clean and healthy environment which includes the right to have the natural world protected for the benefit of present and future generations.” Like all small island States, Fiji is gravely concerned about the impacts of climate change. 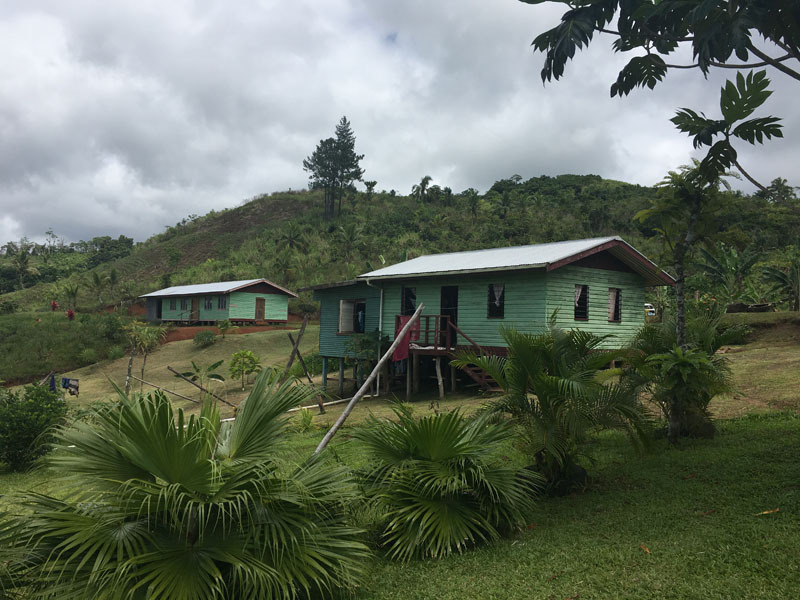 Three villages have already been relocated because of saltwater inundation, and at least another forty are on a waiting list. 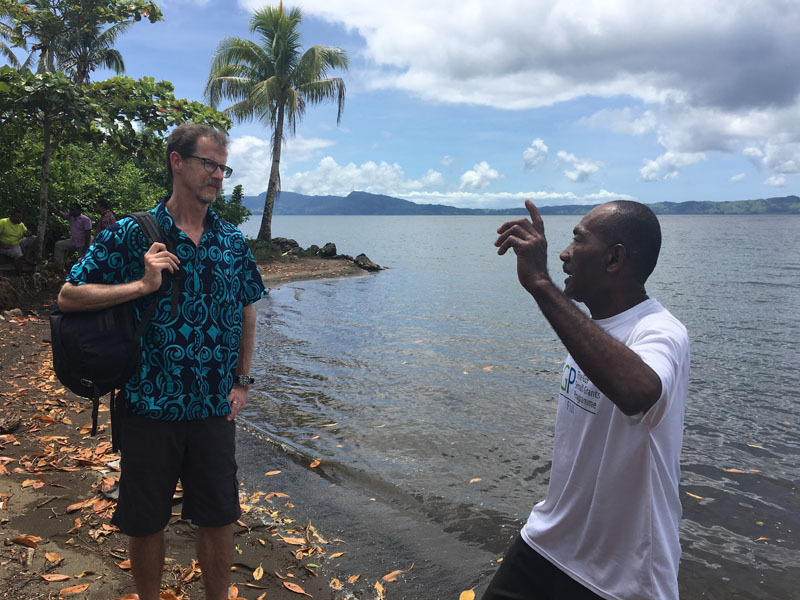 While Fiji has some strong and innovative environmental laws, policies, and programs, it faces challenges in implementing its obligations, as identified in my end of visit statement. While in Fiji I made two presentations (on green cities and the right to a healthy environment) at the 20th annual Attorney General’s Conference, attended by over 600 lawyers and judges. We have been invited to visit Norway in the fall of 2019 and are awaiting responses from a number of other States including China and India before deciding on our second country mission of 2019. 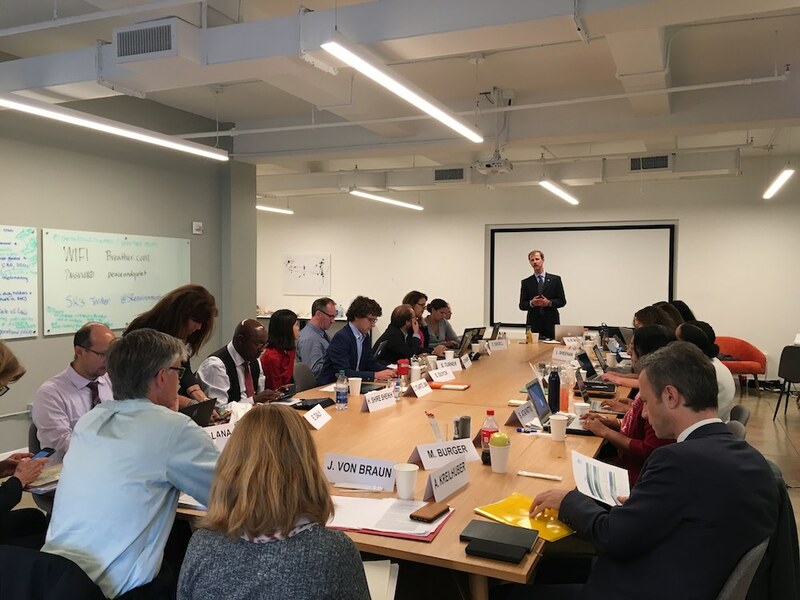 While in New York in October, the mandate hosted a terrific two-day experts’ consultation on human rights and the environment, attended by thirty brilliant and passionate people from around the world. The workshop generated many valuable ideas and insights as well as inspiring new or enhanced collaborations. We also organized a side event at the UN on the right to a healthy and sustainable environment featuring His Excellency Rodrigo Carazo (Costa Rica’s Permanent Representative to the UN), former Special Rapporteur John Knox, Astrid Puentes of the Inter-American Association for Environmental Defense (AIDA), Kristin Casper of Greenpeace, and Arnold Kreilhuber of UN Environment. 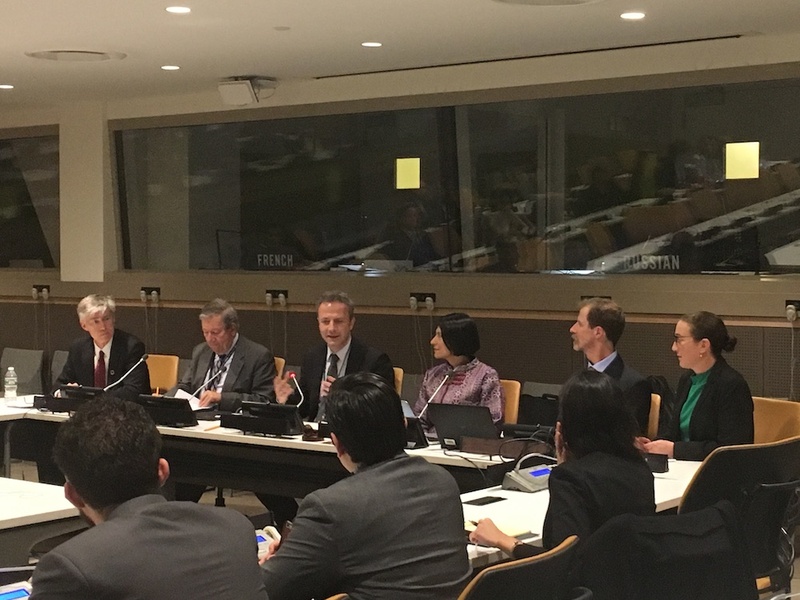 In an effort to curb my expanding carbon footprint, I participated in a number of events via video during the fall, including a side event on climate change and health at COP 24 in Poland, a nature and culture panel at the biodiversity COP in Egypt, a judicial education program in Trinidad & Tobago, an event on marine litter in Geneva, and a strategy session in Geneva on responding to the IPCC’s special report on the urgent steps required to limit global temperature rise to 1.5 degrees Celsius. From 30 October to 1 November I participated in the World Health Organization’s first Global Conference on Air Pollution and Health. I spoke on a panel on children’s health and air pollution with Kirsten Sandberg of the Committee on the Rights of the Child, renowned children’s health expert Dr. Philip Landrigan, and others. I also hosted a public consultation on air pollution and human rights. Planning continues for a series of five regional workshops on children’s rights and the environment with a variety of partners including Terre des Hommes, WWF, World Health Organization, UN Environment, and Global Child Forum. The first workshop will be held in Bogota Colombia in mid-2019, and we will provide more information on the workshops in the next newsletter. In March 2019, I will attend the United Nations Environment Assembly meeting in Nairobi, Kenya. I will speak at various events and organize meetings aimed at promoting human rights in environmental matters as well as the right to a healthy and sustainable environment. Along with other special procedures, a vital element of our work is responding to communications that allege violations of human rights related to environmental damage, degradation, hazards, or of the fundamental rights of environmental activists. Usually in partnership with other special procedures, we identify the relevant principles and obligations of international human rights law, and ask States, and in some cases businesses, to respond to the allegations, provide additional information, or take protective measures. Thus far I have signed communications to and/or press releases concerning Australia, Brazil, Cambodia, China, Guatemala, Honduras, Poland, Turkey, and several corporations. Additional information is available on the mandate’s website. The past year brought about several precedent setting court decisions and a growing number of lawsuits seeking to tackle climate change. In May, the Supreme Court of Colombia ruled in favour of a group of 25 children and youth, holding that their constitutional right to a healthy environment was being violated by deforestation in the Amazon. In October, the Hague Court of Appeal upheld an earlier decision concluding that the Netherlands is violating the right to life by failing to take adequate measures to reduce greenhouse gas emissions. In October, I filed an expert statement in a lawsuit brought by the Friends of the Irish Environment, asserting that Ireland has violated its human rights obligations by failing to take adequate actions to address climate change. My statement focused on human rights obligations related to the right to life. The case is scheduled to be heard in January 2019. These cases are vitally important in light of the IPCC’s recent report on limiting global warming to 1.5 degrees, as climate action needs to be rapidly scaled up to meet the challenge of reducing global emissions in half by 2030. Since participating as one of the 100 or so original contributors to the French-led initiative to create a new global treaty setting forth key principles of international environmental law, I have been surprised at the speed of developments. On 10 May 2018, the UN General Assembly adopted a resolution called “Towards a Global Pact for the Environment.” In November, the Secretary General released a key report on gaps in international environmental law, a report which highlighted the right to a healthy environment. 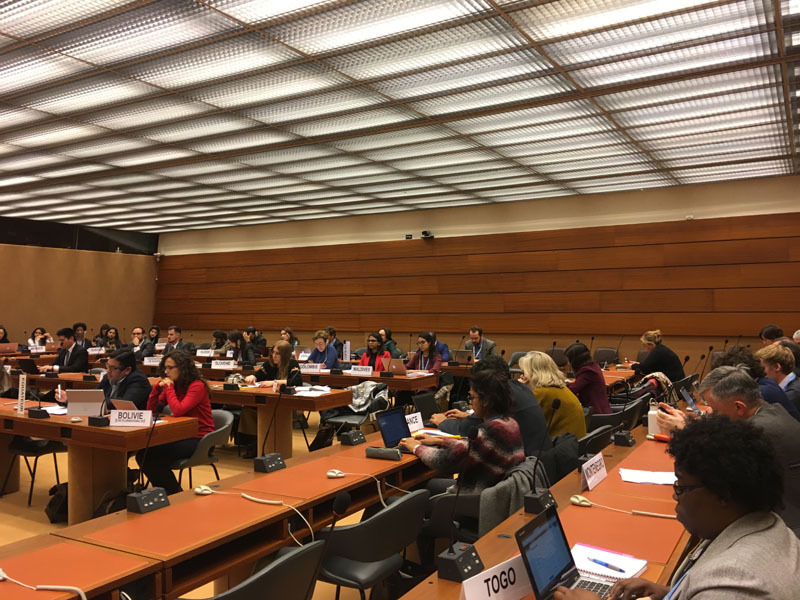 A working group created pursuant to the General Assembly’s resolution will hold a series of sessions in Nairobi during the first half of 2019 discuss how to fill the identified gaps in International environmental law. By the end of June, we should have a clear sense of how fast and how far this initiative will go. My hope is that it will gain momentum and result in the timely global recognition of the right to a healthy and sustainable environment. The Escazu Agreement on Access to Information, Participation and Justice in Environmental Matters in Latin America and the Caribbean opened for signature in September and to date sixteen nations have signed the treaty. I urge other Caribbean and Latin American States to sign and ratify it so that it can come into force at the earliest possible date. This regional treaty is similar to the Aarhus Convention, but places a stronger emphasis on the fundamental objective of protecting the right to live in a healthy environment. At a time when environmental human rights defenders are suffering unprecedented levels of violence, intimidation, and harassment, the treaty breaks new ground by including specific protection for these courageous individuals and communities. UN Environment launched the first ever Global Assessment of Environmental Rule of Law on 24 January 2019. It is a landmark report spanning 40 years of developments in the field of environmental law covering justice, civil rights, environmental defenders, institutions and more. For more information, click here. You can view earlier newsletters on our website. I look forward to continuing to collaborate with all of you to advance the recognition and fulfillment of the right to a healthy and sustainable environment for everyone, everywhere!